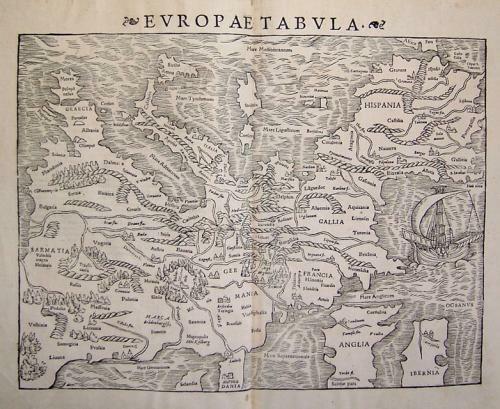 A fine early map of the whole of Europe with south oriented at the top of the page. It extends from England and Denmark to the Adriatic, Greece and Balkans. This antique map is from Sebastian Munster's 'Cosmographica', 1548. In very good condition with a small lower centerfold pinhole and small centerfold split.